It’s just one month away! Manufacturing Day 2018 officially arrives on Friday, October 5. This annual celebration gives small and medium-sized manufacturers (SMMs) the chance to showcase their products and capabilities to students, educators, businesspeople, politicians, and the media. 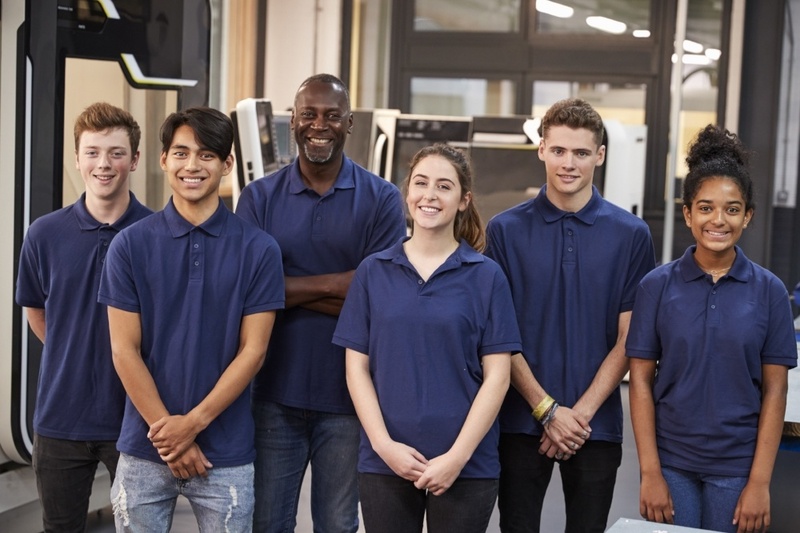 The annual event also helps to dispel misconceptions about modern manufacturing in order to aid in the recruitment of the next generation of talent. And, recruitment is crucial. As we recently reported, nearly one-quarter of the U.S. population is expected to reach 60 years of age or older by 2025, meaning manufacturing facilities will be losing many workers to retirement. With large numbers of workers going out and a shortage of skilled workers coming in, it’s predicted that there will be a total of 2 million skilled manufacturing jobs unfilled by 2025. Thankfully, participation in MFG Day 2018 can help! Want to get in on the action and help ensure the future of your business? It’s not too late! Here are three ways you can participate in MFG Day 2018. Host an Event. Open your doors to the public and give them a taste of manufacturing in the 21st century. Although October 5th is officially MGF Day, you can participate by hosting an event whenever you like. All you need to do is plan a site tour, a school event, a jobs fair, or other event. Register now! Attend an Event. Currently, there are over 900 scheduled events planned throughout the country and this number just keeps on growing. You can use the official MFG Day map to find public events being held near your city, as well as virtual events. Sponsor an Event. Support your public relations goals and increase exposure for your company by aligning your organization with a brand that attracts universal positive sentiment! As a sponsor, you’ll secure logo placements, mentions in collateral material and media outlets, and more. Plus, it’s 100% tax deductible. Thinking of hosting an event? It requires some effort and planning. MFG Day has identified seven rules of thumb that can help you connect with guests and create a memorable event that you can read about here. In addition, you’ll also find a Host Tool Kit, Host Promotion Kit, and Host Media Guide. These free resources, provided by the Manufacturing Institute and the National Association of Manufacturers, can help ensure that your event goes off without a hitch! Register for MFG Day 2018 Now! While we encourage you to make Manufacturing Day a year-round event, the official MFG Day is just around the corner, providing the opportunity to make a difference, inspire the next generation, and grow your business. Want to see what all the excitement is about? Check out our recap of the 2017 event and view a short video here. Here’s to a successful, fun, and game-changing MFG DAY 2018!